ARCTIC Freezer i30 is an Enthusiast-grade CPU cooler for high-performance Intel CPUs. 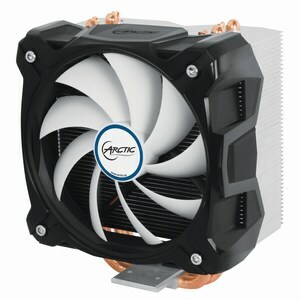 ARCTIC Freezer i30 features a 120mm PWM fan with low noise blades and rubber vibration absorbers, 4 double-sided Direct-Touch copper heatpipes, 48 aluminum fins as well as included non-capacitive, non-electricity-conductive MX-4 high-viscosity thermal compound, delivering an amazing 320 Watts of total cooling power. The efficient design allows quieter fan and facilitates dissipation of heat from the CPU quickly and efficiently. ARCTIC Freezer i30 is one of the easiest CPU coolers to install in its class because of its unique but effective mounting mechanism. ARCTIC Freezer i30 supports Intel LGA 2011, 1156, 1155 and 1150 Haswell.